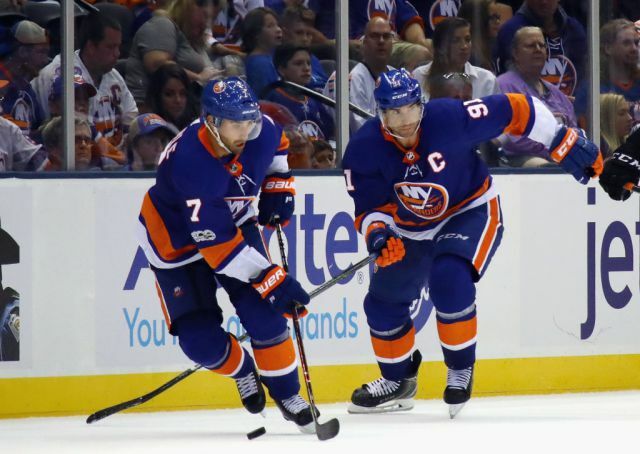 50 games into the season, the New York Islanders sit one point out of a playoff spot. The tight metro division only has 11 points separating the top of the division from the bottom. 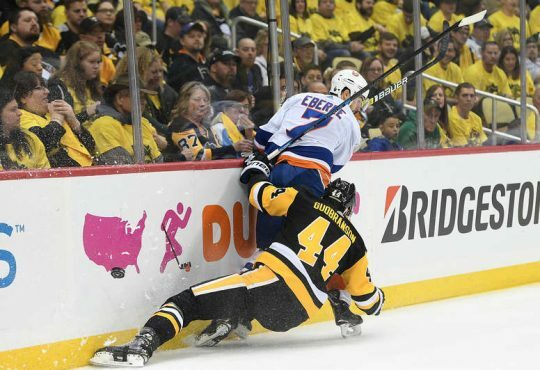 Our beloved Islanders are possibly the most exciting, painful, fun, and tiring team to watch in the NHL with the second most GF and the most GA. This team is so in love with giving up goals, they have the second-to-last Coyotes by 11 in GA. 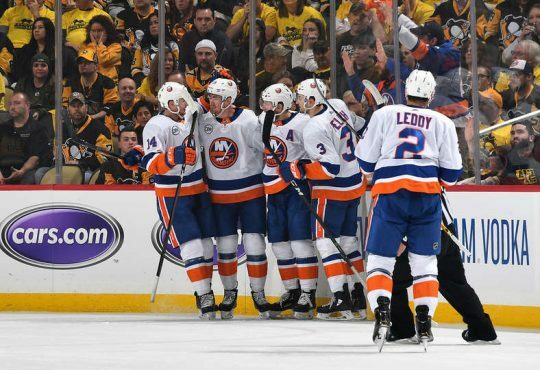 But despite a plague of injuries, a poor bottom six, and abysmal defensive play, the Islanders have one of the most electric offenses in the league and still have a great chance at making the playoffs. This top 5 is solely based on which players have contributed the most to our successes this year so far. 5) Jaroslav Halak After a questionable start and a very suspect stat line(15-14-3 with a .909 save percentage), Jaro makes this list for me because of his ability to keep this struggling team in games they should be getting blown out in. He’s been seeing, on average, 33 shots per game and is having to make 2 or 3 big saves every game in the last 3 minutes. The most recent example of this was the game in Vegas where Halak faced 39 shots and made a series of incredible saves to help give the team a chance to beat the #2 Golden Knights. The media and other Islanders fans have been very critical of the goaltending in Brooklyn but it’s the poor defensive play leading to the 179 goals against this season which is 31st in the league. Nick has been one of the few positives for the Islanders defensive core this season with 29 points in 50 games. With Boychuk hurt, Leddy has to compensate for the rest of the AHL-caliber defense including almost 23 minutes per game of ice time. In a year where the defense has been at it’s worst, he has really stepped up and is looking like a true NHL veteran. 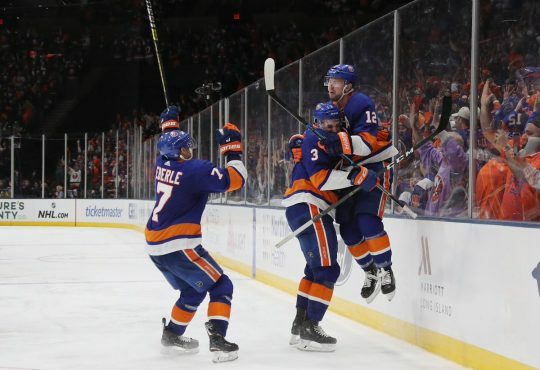 Were the expectations this high for Anders Lee? 27G-15A-42P in just 50 games, you can’t spell Islanders without Anders. He has become one of the most dangerous net-front presences in the league. Watching him this season has reminded me a lot of a recent hall of fame inductee by the name of Dave Andreychuk. I’m not saying we should expect to see Anders in the HHOF but both him and Andreychuk play big and can’t be stopped in front of the net. 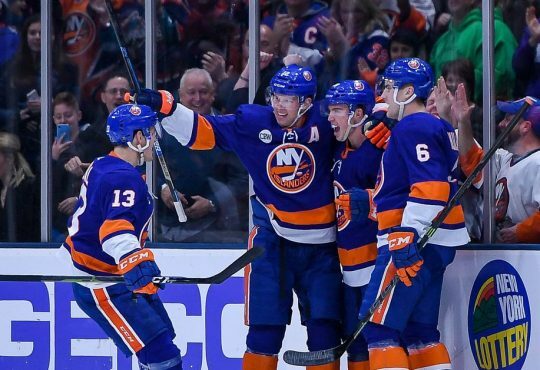 If John Tavares resigns, Anders Lee can be one of many reasons he does. The only reason Tavares isn’t my #1 is due to the fact that JT has been a bit quiet as of recent and when I say a bit quiet I’m talking relative to what we’re used to seeing from John. 26G-31A-57P in just 50 games, JT is currently in 5th place in the points race only behind Stamkos, Kessel, Mackinnon, and Kucherov. His ASG appearance is well deserved and if he stays on this course he could potentially have one of his best years. Even though he’s likely to stay, I’m trying to cherish his leadership and talent while he is here for the time being. Two words. Game changer. Mat has been the standout rookie this fanbase has been waiting for since Tavares. I put Barzal at #1 because this kid brings another dimension to this team. People have been saying in the Calder race between him and Boeser that Barzal has been surrounded by talent with the Islanders and Boeser hasn’t, which is true. BUT, Barzal has been the one making his linemates better. The opposition has admittedly changed their gameplan because of the rookie sensation. His speed and knowledge of the game at just 20 years-old is scary. Without him this year, I don’t see us competing in nearly as many games as we are now. In the first 50 games of the season, he currently sits at 16G-35A-51P which leads all rookies. As of right now, I’m all aboard the #BarzalForCalder train. Jordan Eberle- 17G-22A-39P. He’s finding his place here in NY and is proving to be a great replacement for Ryan Strome. He’s simply a natural goal scorer. 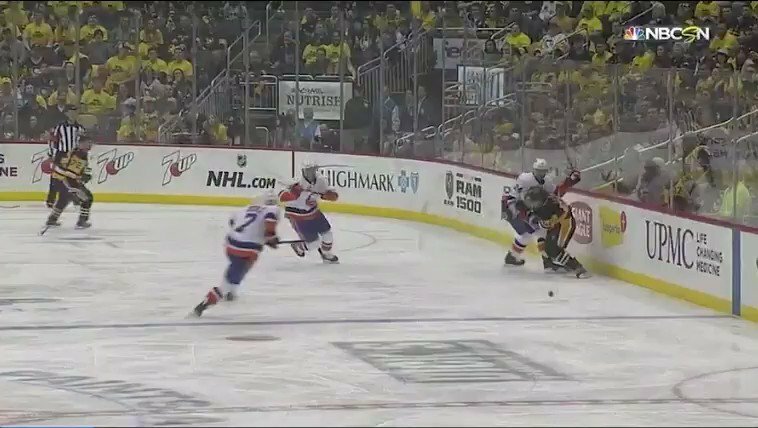 Josh Bailey- 12G-42A-54P in 46GP. Josh is having a career year and has been a key piece of the top line. A very deserving ASG appearance as well. Adam Pelech- 1G-11A-12P in 46G. I personally love what I’ve seen from the 23-year-old so far despite how bad the defense has been. He currently has a team-leading +12 and has been steady at both ends. Once this team figures out the defense, I can see Adam being a key part of the team. Everybody Wants It, But How?